What is unique about Austin Seminary? Our unwavering commitment is to the preparation of women and men for pastoral ministry. Austin Seminary has a strong reputation in theology and biblical studies, as well as in preaching, worship, and practical experience for pastoral ministry. While a large percentage of our graduates serve in the parish, we recognize that God calls people to a variety of ministries and we are dedicated to educating the people of God for the church of God. Whatever your call, there’s no better place to acquire a solid foundation for Christian ministry than at Austin Seminary. In a recent survey of graduating students, the top three areas in which they felt stronger because of their Austin Seminary education were: trust in God, self-knowledge, and respect for their own religious tradition. What can I expect from the community? Outdoor grill fests, ice cream on the green, and a study group with whom to share your successes and challenges—these are but a few of the tangible expressions of community you’ll discover at Austin Seminary. For generations, pastoral formation has taken place in and around this campus—in chapel, at table fellowship, in a pickup basketball game—in short, everywhere relationships are formed. We understand that one role of seminary is a rigorous formation of the theological mind; another is the gentle nurture of the pastoral heart. Time and again students comment on the strong and caring support they have received at Austin Seminary. We are called to encourage those persons who feel called to serve God, because education for pastoral ministry must occur in community if we hope to learn to do it well. We believe that theological education is as much about “formation” as “information,” so we are committed to the ideal of a residential community. We affirm that spiritual and intellectual growth can occur as easily in the laundry room as the classroom—indeed “where two or three are gathered”—so we strive to provide comfortable accommodations that foster an atmosphere of shared interest and mutual support. Our twelve-acre campus is a lush oasis in the very heart of a bustling university neighborhood. Though commuters are vital members of the Austin Seminary community, most full-time students live on campus, either in our residence hall or in 1-, 2, 3-, or 4-bedroom apartments. Whether you are single or married, have four children or none, own a dog, a cat, a fish, or a frog, you can call Austin Seminary home. In recent years, a whole new generation of beautiful student housing has been built, affording even greater capacity and convenience for those who wish to live on campus. Vitality of community—for each member—is embraced as an essential element of the Austin Seminary experience. Your call to the ministry is not a solo journey. Because families go to seminary, too, we strive to enfold each member into our life together. A group devoted to families and a regular dose of community-wide social functions serve to ease the transition into seminary life. Before you know it, your spouse or children will be zipping up a suit to hurl themselves onto the Velcro Wall at Spring Fling, decorating your car for “Trunk or Treat,” or practicing for the Polity Bowl flag football game with the neighboring Episcopal seminary. If you live on campus, family members can avail themselves of our workout room and racquetball court; the University of Texas offers a variety of sporting events, a dizzying array of cultural offerings, and stateof-the-art recreational facilities—all within walking distance from home. The wonderful neighborhood elementary school, Russell Lee Elementary School, is designated an “exemplary school” by the Austin Independent School district, and students consistently are high performers in the state’s standardized tests. Older children attend Kealing Middle School or McCallum High School. Students from all over Austin apply to Kealing’s Magnet Program to take advanced and high school courses in liberal arts, mathematics, and science. McCallum is a creative powerhouse, known for its exceptional fine arts program; approximately one-fourth of its students are theater, dance, music, or visual arts majors. Students are also eligible to apply to the Liberal Arts and Science Academy (LASA) at LBJ High School which offers students a choice of enriched academic programs. What can you tell me about the City of Austin? In recent studies Austin has ranked first as the “best city for relocating families,” second among “top creative cities,” third “best city for singles,” and the fourth most “wireless” city in America. Home to one of the nation’s largest universities as well as the seat of state government, Austin is a welcoming community whose cultural diversity and tolerant attitude make it easy to fit in. We delight in our claim as the “Live Music Capital of the World,” where you can hear the symphony perform on the banks of Lady Bird Lake just steps from a statue commemorating Austin blues legend Stevie Ray Vaughn. More than 150 restaurants and clubs within ten minutes of campus offer a smorgasbord of culinary and musical fare. Life in Austin is largely lived outdoors in the city’s parks, trails, spring-fed pools, and lakes. Chances are you’ll fall in love with Austin as you discover that our unofficial slogan, “Keep Austin Weird,” is about cherishing our natural resources, homegrown businesses, and authentic Tex-Mex cuisine along with hosting the world's largest music festival, the largest urban colony of Mexican freetail bats, and an annual birthday party for a donkey named Eeyore. Is diversity honored at Austin Seminary? Students, faculty, and staff model the unity and diversity of the church. Our community’s broad geographical, theological, experiential, and age representation means that you will engage in conversations that both nurture and challenge your own deeply held beliefs. Such is the path toward self knowledge, one of the most important attributes for a capable Christian leader. Through partnerships with seminaries in Hungary and Zambia, our community is enhanced each year by students from those institutions who come as Ecumenical Fellows. While we continue to strive for even greater racialethnic diversity, the faculty and students we attract are a rich source of inspiration and challenge to the dominant culture. One commitment to cross-cultural diversity is evidenced in our January semester travel seminars. Domestic opportunities include Seminarians Interacting, an exploration of Jewish-Christian dialogue; Ministry with Older Adults in Sun City, Arizona; and Ministry in an Alternative Context, set in northern New Mexico. All MDiv and MATS students are eligible for one of our Gunther Scholarships which help to subsidize an international or cross-cultural experience. Recent destinations have included Africa, India, Europe, Latin America, and the Middle East. Students are encouraged to find a church home in the Austin community; it’s one of the reasons we do not gather for worship in Shelton Chapel on Sundays. Austin boasts a variety of denominations and styles of worship, and you will have no trouble finding a place to worship, share your gifts, and feel connected. One of the most vibrant organizations in town is the Austin Area Interreligious Ministries, a forum for dialogue, education, and action. Here you will find ample opportunities to grow and serve among Austin’s diverse communities of faith. Will I be able to afford seminary? Need-based financial aid provides funding and support for tuition costs at Austin Seminary. Loans through the William D. Ford Federal Direct Loan Program also assist our students as they seek to meet the costs of their education. You’ll find that living on our campus may be one of the better bargains in theological education. We subsidize our on-campus housing by 50 percent or more when compared to other apartments in the seminary/university area. In addition to need-based aid, a limited number of meritbased fellowships—covering tuition, fees, room and board, and a book stipend—and merit-based scholarships that cover tuition, are awarded to entering Master of Divinity students. The Office of Financial Aid can help you discover scholarships, grants, loans, and other avenues available for funding your seminary education. Many places brag about their faculty-student ratios—an important factor, and ours is an intimate ten to one. At Austin Seminary, however, we’re more interested in faculty-student relationships—which are unquantifiable. Prospective students tell us that the most important reason for attending Austin Seminary is the quality of the faculty and the academic reputation of the school. 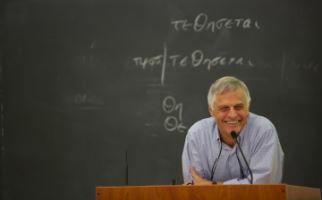 The twenty-one Christian scholars who make up our faculty integrate into their own daily lives a spirit of devotion to the mission of God’s church in the world. This dedication is evident in and outside the classroom; in a typical year, these scholar / pastors will preach and teach in more than 400 settings around the country. Will I learn practical skills? Classes, worship, mission opportunities–life in general at Austin Seminary–teach and encourage the practice of ministry, in all its myriad forms. No seminary education can provide everything you need to know about ministry. That’s just a fact. But our Supervised Practice of Ministry (SPM) program will expose you to many of the situations you will encounter in ministry and will give you the skills needed to respond in appropriate and theologically sound ways. There are three SPM tracks. The year-long internship is for students who are able to work for an eight-to-fifteen month period in a particular parish setting. The summer internship immerses students in a ten-week, full-time congregational ministry. The teaching church allows students to engage in SPM in the Austin area while attending classes during the fall and spring terms. Under the supervision of competent and experienced persons who have been trained and certified by the Seminary, students are able to gain knowledge and develop ministry skills as well as develop close relationships with the members of the congregations they serve. Clinical Pastoral Education (CPE) offers students an educational experience in a clinical setting, such as a hospital, mental health institution, or local congregation, conducted under the supervision of a certified clinical pastoral educator. Students usually complete one unit of CPE in ten weeks. Pastoral Care in a Hospital Setting is a four-week seminar which introduces students to the concepts and practices of ministry in a medical context. A program unique to Austin Seminary is The Louis H. and Katherine S. Zbinden Chair of Pastoral Ministry and Leadership. Through this professorship we invite distinguished and experienced pastors to teach in the broad area of ministry, including church administration, stewardship, worship, preaching, Christian education, pastoral care, and church programming. This attention to the everyday life of the church adds a distinctive strength to a curriculum already focused on building and equipping strong pastors. What kind of mission and outreach opportunities are there? What are your gifts for service? Student Senate-sponsored groups offer numerous ways for students to be involved in mission opportunities. You can engage in a ministry of presence with homeless families through t Micah 6; march to the Capitol steps for fair and just legislation; plant a garden on campus or at the Texas Foodbank. If you don’t find what you’re looking for, create a program and recruit volunteers. Austin Seminary is an intimate and responsive community—the kind of place where you can make a difference. How is the spiritual life nurtured at Austin Seminary? Corporate worship is the cornerstone of spiritual formation and is at the center of this community’s life. We gather in Shelton Chapel two mornings a week to proclaim the Word, to break bread, and to experience together the profound and joy-filled worship of God. Students, faculty, staff, and our dean of the chapel lead worship—preaching, singing, and praying in a variety of settings and styles; special services throughout the liturgical year and student-organized evening worship services create rich and diverse worship opportunities. For thinkers in the Reformed tradition, Christian scholarship is considered one of the classic spiritual disciplines, and there is plenty of study here! Such attention to scholarship seeks to deepen our faith, broaden our knowledge of God, and bring us into a lively conversation with the vast experience of Christians and their communities of faith throughout history. An added bonus: the discipline of deriving spiritual energy from your work and worship will serve you well when you leave seminary. What sorts of spiritual formation programs are available? Spiritual formation is about cultivating a relationship with God who initiates relationship with us. This connection is built through chapel worship, faculty led spiritual formation groups for first year students, spiritual direction groups, and Bible study. What sort of support can I expect when it is time to seek a call? The Office of Student Affairs and Vocation is vested with the responsibility to support our students in their journey toward ordination. 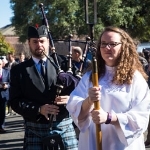 For Presbyterians, this means assistance with ordination exam preparation, Personal Information Form (PIF) writing, and negotiating terms of call with congregations and other church agencies. For other students, we offer vocational planning assistance and placement advising. How will I be nurtured after I leave seminary? The goal of Austin Seminary’s Office of Alumni Relations is to help you stay connected with the classmates, faculty, and programs you found so valuable as a student. You are invited back to campus frequently for lecture series, reunion events, and special worship services. Occasionally alumni events are scheduled in other parts of the country to nurture the special community that is at the heart of the Austin Seminary experience. How will I continue to grow in my vocation? True learning is a life-long process of experience and exploration. A vital part of Austin Seminary's mission is to create a space for interaction among contemporary Christian leaders and those who serve in pulpits, Sunday school classrooms, and mission fields. Clergy and lay leaders alike benefit from these opportunities for further education and professional development offered through Education Beyond the Walls. 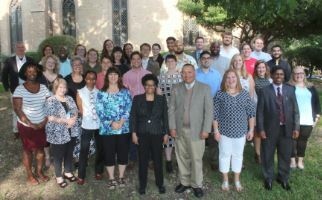 The College of Pastoral Leaders is an innovative program that provides ministers opportunities, personal resources, and financial assistance to deepen their spiritual lives, to discover resources for emotional support, and to increase their knowledge and understanding in the pastoral arts through membership in learning cohorts (small groups who covenant together for mutual support and professional development).